Great accent rug. Have had it 3 years and it has worn wonderfully. 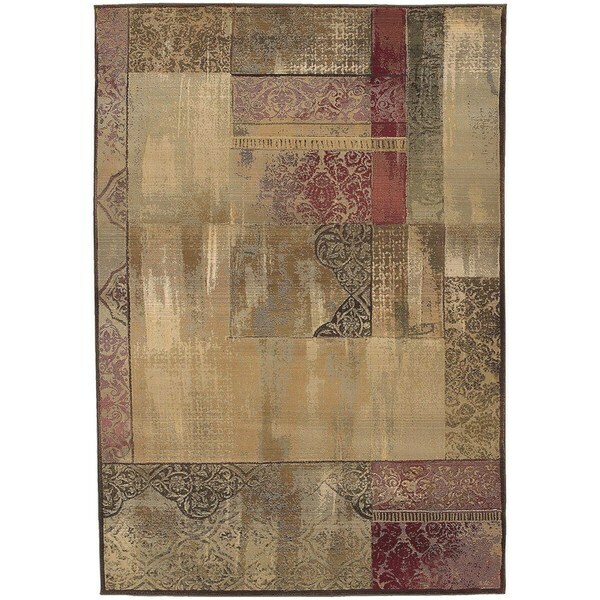 Copper Grove Aspromonte Easy-care Green/ Beige Area Rug - 5'3" x 7'6"
Carbon Loft Liepmann Scrapbook Blocks Green/ Multicolored Area Rug - 5'3" x 7'3"
Traditional elements with a modern twist this beautiful area rug makes quite a statement in rich shades of green, beige, red and gold. Featuring a durable yet soft polypropylene construction this beautiful rug will make a wonderful addition to any room.